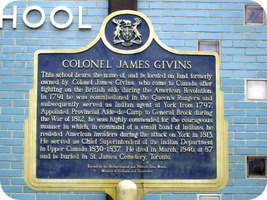 HILLIER, GEORGE, army officer and office holder; b. in Devizes, England; m. 31 Jan. 1820 in York (Toronto) Caroline Ann Givins, daughter of James Givins, and they had at least one child, a son; d. 22 Dec. 1840 in Fort William, Calcutta, India. George Hillier began his career in the British army on 23 March 1809, when he was appointed an ensign in the 29th Foot. Promoted lieutenant on 10 May 1811, he was with his regiment in Spain at the bloody battle of Albuera that year. He was one of the lucky few who escaped unscathed. The shattered 29th returned to England in November; Hillier, however, remained behind as one of three officers of the regiment attached to the Portuguese army. On 1 July 1813 he became a captain and joined the 74th Foot, with which he saw further action in the Peninsular War. Sent to Flanders, he fought with his unit at the battle of Waterloo in 1815 and received the Waterloo medal. He was advanced to brevet major on 21 June 1817. At some point while in Europe he served with Peregrine Maitland*. The two men became friends, and when Maitland, now Sir Peregrine, was appointed lieutenant governor of Upper Canada, Hillier took up duties as his civil secretary. Hillier arrived in York with Maitland and his entourage in August 1818. The running of the gubernatorial office was an administrative task which encompassed every matter that landed on the lieutenant governor’s desk. Hillier’s position entailed no formal power but offered great possibilities for wielding influence. Depending upon a number of circumstances – ability, force of personality, intimacy with the lieutenant governor, and mastery of detail, to name a few – there was room for a civil secretary to be a real force on the Upper Canadian scene. Over the course of the province’s colonial history, most secretaries, for whatever reason, were content to act as head clerks. Few made of themselves what would now be considered a chief executive assistant. John Macaulay* did (and possibly his successor Samuel Bealey Harrison* as well) during Sir George Arthur*’s administration from 1838 to 1841. But Macaulay and Harrison served only briefly. Hillier held his position for ten years, the entire duration of Maitland’s lieutenant governorship. And no one, before or after, exploited the intrinsic potential of the office as he did. Hillier’s greatest contributions to shaping events in the colony would almost certainly have been his private, and unrecorded, conversations with Maitland. He was on friendly terms with Robinson, Macaulay, Christopher Alexander Hagerman, and (to a lesser extent) Strachan, and it is evident from the tone of their letters to him that he could be relied upon to influence Maitland and, moreover, that his influence was crucial. 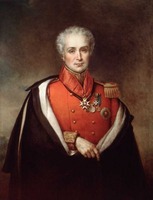 In 1822 he intervened with the lieutenant governor to ensure that Strachan, then engaged in a dispute with Chief Justice William Dummer Powell*, would receive a favourable report at the Colonial Office. Robinson worked successfully through Hillier in 1824 to secure approval from Maitland for Strachan’s proposed trip to England that year. Two years later Robinson arranged for Hillier to smooth over with his superior any problems associated with Peter Robinson’s immigrants. Hillier’s recommendation was crucial in Macaulay’s acquisition of government printing contracts, and he undoubtedly helped Hagerman obtain his district judgeship in 1826. He was not, however, uncritical of his friends. 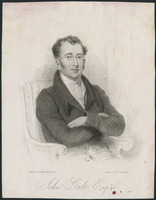 In 1823 he had not hesitated to indicate to Macaulay his distress over Hagerman’s reported treatment of Robert Barrie, the commissioner of the Kingston dockyard. 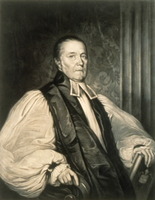 Hillier consulted widely on matters of patronage and sought information from different sources on a host of topics, all for Maitland’s judgement. Maitland was scrupulous about his royal prerogative of extending mercy to convicted felons. In each instance Hillier dutifully gathered the necessary documents, occasionally having to harass recalcitrant judges to comply, and placed them before the lieutenant governor who scrawled his decision on them, leaving it for Hillier to ensure that the matter was attended to. Although Maitland and Hillier relied on a number of Upper Canadian advisers and were prepared to promote their interests on occasion, they were by no means ciphers. One incident in 1828 indicates the extent to which the lieutenant governor, with Hillier, exercised his own judgement. With Hagerman’s temporary elevation to the bench, his position as collector of customs at Kingston became open. Macaulay had long coveted it and used every means available to him to get it. He was anxious about how to proceed with Hillier since a friend of the major’s, James Sampson*, was also an applicant for the job. Hillier was reassuring: “With regard to your delicacy towards myself, (which I feel & appreciate) of addressing your application in an official form as knowing that Sampson, another candidate, was a particular friend of mine, allow me to observe that I have always, regarded yourself in that light also.” Neither Sampson nor Macaulay got the collectorship. Strachan was appalled and told Hillier that the rejection of Macaulay was “a matter of astonishment to all the Friends of Govt.” As Strachan related the episode to Macaulay, Hillier just “shrugged & acknowleged your claims.” “Nothing could be worse in taste and heart,” Strachan concluded, “than Sir P. or rather Perhaps Col Hilliers conduct for the last year in the way of appointment.” Maitland’s isolation from his Upper Canadian advisers toward the end of his governorship may in part explain his imprudent decision not to proceed against William Forsyth of Niagara Falls through the courts. 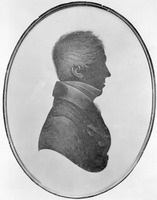 When Maitland left Upper Canada in November 1828, Hillier went with him. He had been appointed deputy quartermaster general in Jamaica, with the rank of brevet lieutenant-colonel, on 24 July 1828. Four years later he obtained a majority in the 62nd Foot and joined it in Bangalore, India. In 1834 the regiment moved to Burma, where Hillier became acting commanding officer; he served in this capacity until 1835, when he became junior lieutenant-colonel of the unit. In that year, as a temporary brigadier, he had command of Moulmein and the surrounding province. Ill health forced him in 1839 to recuperate in Calcutta, where he returned, again because of sickness, the following year and died of apoplexy. An Anglican and a freemason, Hillier had lived in a picturesque cottage in York, once owned by Peter Russell*. Though he had been among the most powerful men in Upper Canada’s history, the death of the major-domo of the Maitland administration received only passing notice there. The bulk of correspondence in the Upper Canada sundries (PAC, RG 5, A1) for Maitland’s governorship consists of letters to and from Hillier. For the most part, this material is formal in nature. The political and, to a degree, the personal sides of the man are revealed in his correspondence with John Macaulay (AO, MS 78). Other references may be found in the John Beverley Robinson papers (AO, MS 4), the Strachan papers (AO, MS 35), the Colonial Office correspondence (PRO, CO 42), and the Canadian Freeman, 17 July 1828. The works listed below are also useful. Annual reg. (London), 1841: 210. United Service Journal (London), 1841, pt.i: 575. Charles Dalton, The Waterloo roll call; with biographical notes and anecdotes (2nd ed., London, 1904; repr. 1971). Death notices of Ont. (Reid). G.B., WO, Army list, 1809–41. H. [E. E.] Everard, History of Thos. Farrington’s regiment, subsequently designated the 29th (Worcestershire) Foot, 1694 to 1891 (Worcester, Eng., 1891). N. C. E. Kenrick, The story of the Wiltshire Regiment (Duke of Edinburgh’s), the 62nd and 99th Foot (1756-1959) . . . (Aldershot, Eng., 1963). Robertson’s landmarks of Toronto, 1: 303; 3: 419. Scadding, Toronto of old (Armstrong; 1966). Robert L. Fraser, “HILLIER, GEORGE,” in Dictionary of Canadian Biography, vol. 7, University of Toronto/Université Laval, 2003–, accessed April 19, 2019, http://www.biographi.ca/en/bio/hillier_george_7E.html.